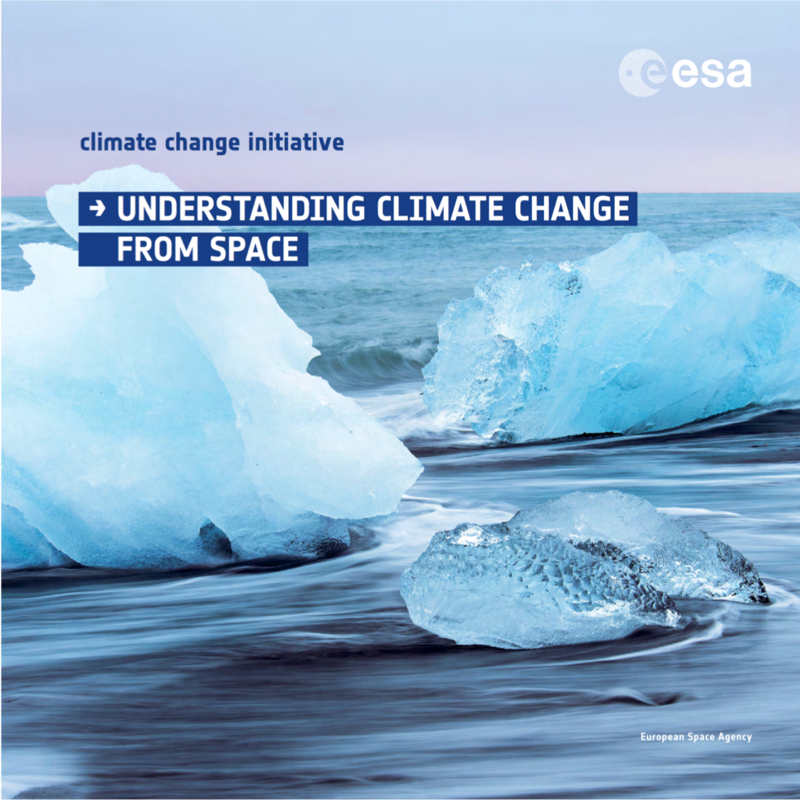 CCI Flyer for COP21 (8 pages) - Understanding Climate Change from Space. 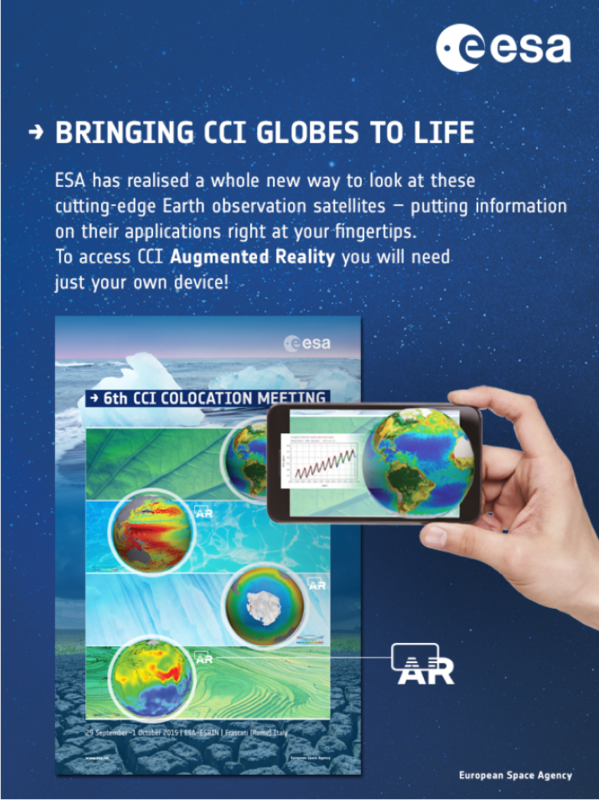 CCI Augmented Reality Instructions (1 page). 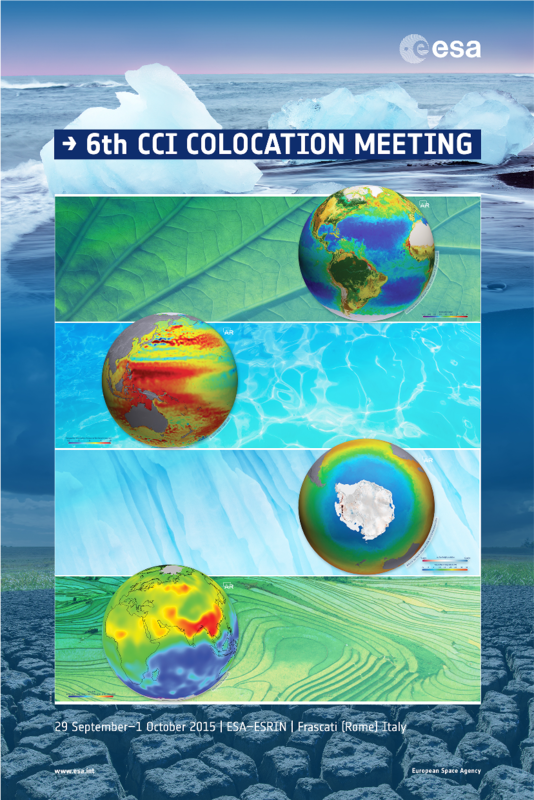 CCI Augmented Reality Poster (1 page). 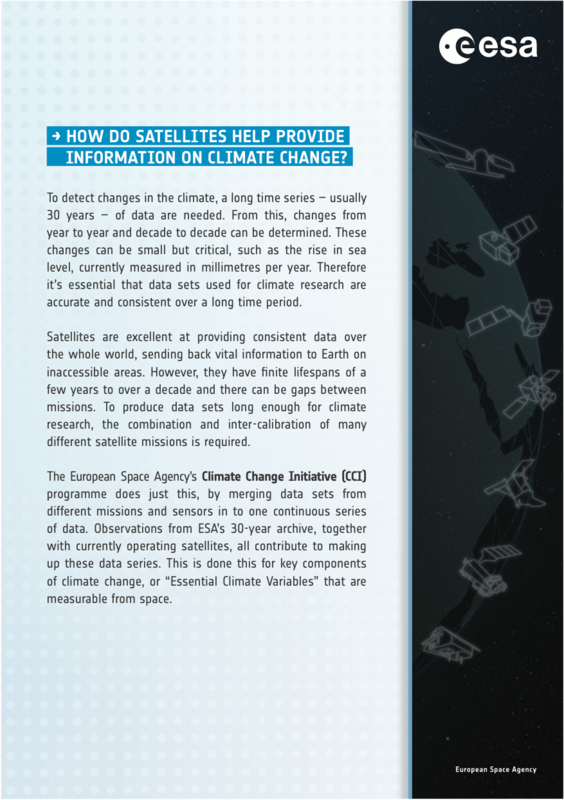 CCI Factsheet - How Satellites Help Provide Information on Climate Change (2 pages). 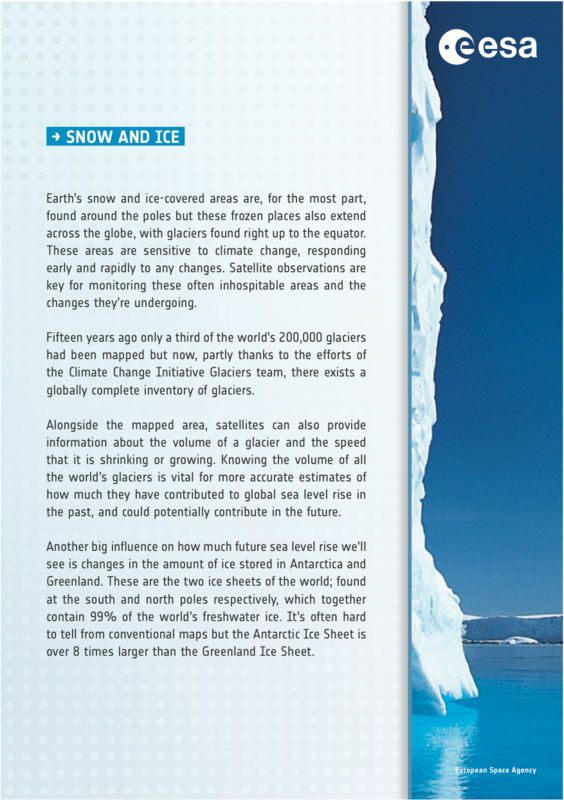 CCI Factsheet - Snow and Ice (2 pages). 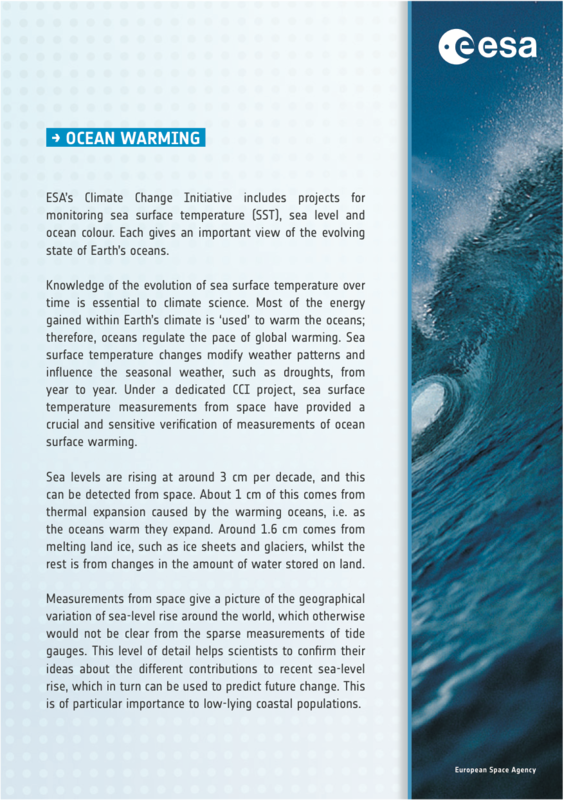 CCI Factsheet - Ocean Warming (2 pages). 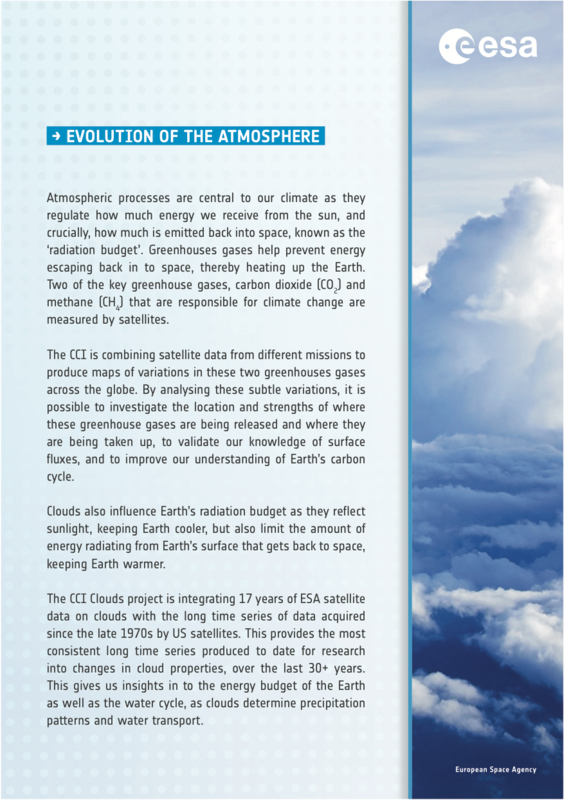 CCI Factsheet - Evolution of the Atmosphere (2 pages). 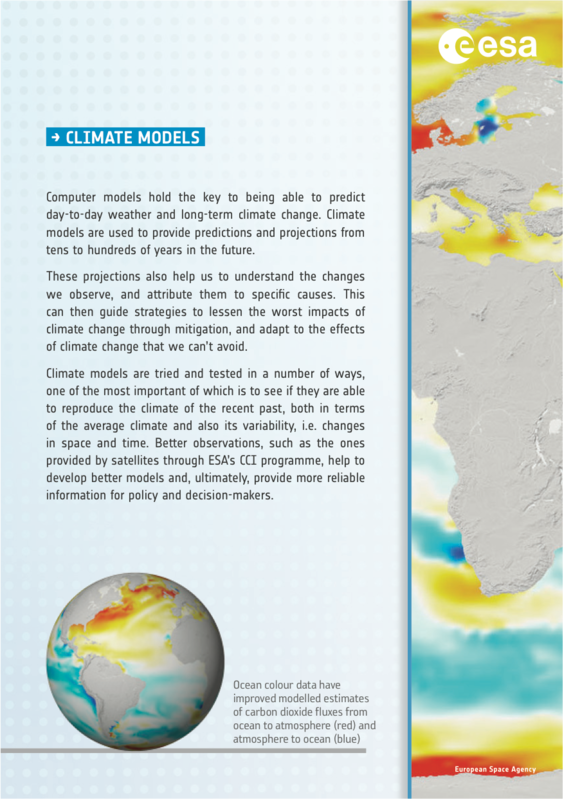 CCI Factsheet - Climate Models (2 pages). 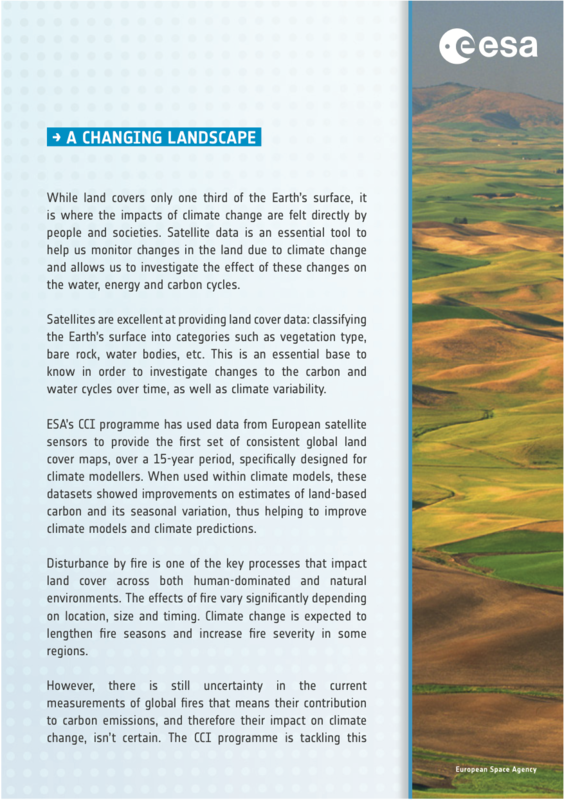 CCI Factsheet - A Changing Landscape (2 pages). 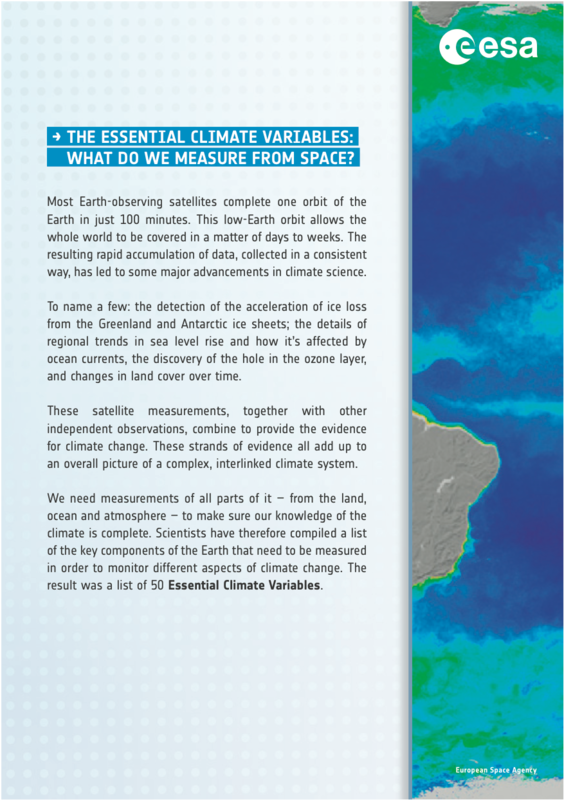 CCI Factsheet - The Essential Climate Variables (2 pages). 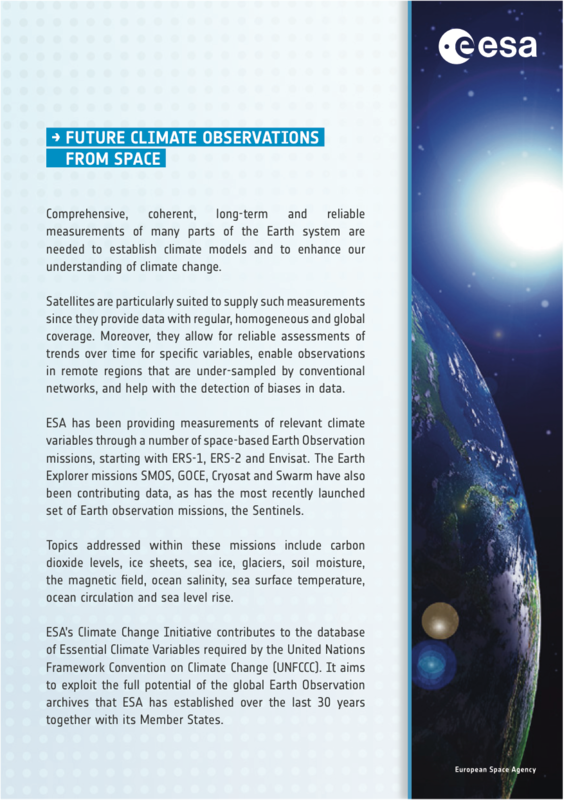 CCI Factsheet - Future Climate Observations From Space (2 pages).